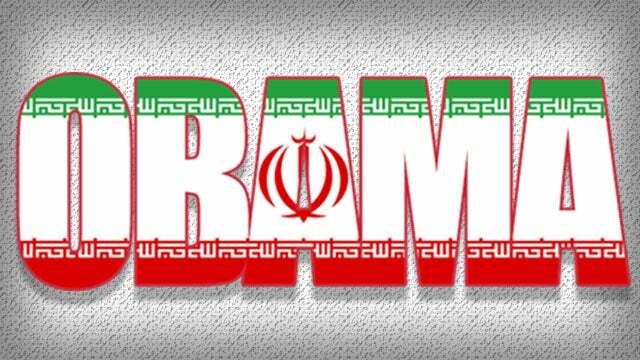 RUSH: So I’m doing show prep today and I run across this little headline that the Obama administration gave Iran access to the U.S. financial system. And I said, “Well, now, what is that?” So I endeavored to dig into this. Now, the timing of this is somewhat interesting as well. We’re in the midst of the left and the Democrats, while the Obama legacy is being whittled away and erased, there are a number of Obamaites that are doing their best to restructure it and to try to remind everybody how wonderful Obama was, and Obama was a citizen of the world, and the world was safer, America was greater, and all these things. And the Obama people loved to run around and say, “We never had a scandal. The Obama administration was one of the few ever that was scandal free.” So I looked into this. It’s a Fox News story. If I were to read the story to you, believe me, you would think we’re in the weeds here after not too much time. So let me summarize what this story says. In 2016, a bank in Oman had $5.7 billion worth of Iranian assets in rials, the currency. The Iranians wanted the rials converted to euros. So the Obama Treasury department issued a special license to the bank in Oman to allow that, but they still needed a U.S. bank to convert. But there were U.S. sanctions in place, and those sanctions prohibited American banks from doing anything that aided Iran financially. But that didn’t stop the Obama Regime. The Obama Regime asked two banks to go ahead and convert the rials to euros, which is what the Iranians wanted. But these banks still refused. These two banks stood up to Obama and they said, “No. We’re not gonna do this.” So Obama then arranged for the $5.7 billion worth of Iranian assets in rials to be converted to euros. In other words, this was money that was Irans, it was frozen, it was theirs, they wanted it back, and Obama endeavored to get it back to them, in spite of sanctions. And he ordered a couple of American banks to violate sanctions to do the conversion from rials to euros, and the two banks that he hit up refused. So he went to European banks, who willingly did what Obama wanted to do because, of course, there’s nobody greater than Obama. The scandal in all of this is the U.S. gave a license to this bank in Oman, in the middle of sanctions on Iran, the Obama administration granted a license to this Oman bank to start moving the Iranian money around. Number two. They tried to get two U.S. banks to break the law by ignoring U.S. sanctions, which prohibited Iran from accessing the U.S. financial system. In other words, for Iran to get that $5.7 billion, the U.S. financial system would have to be involved. Sanctions prohibited this. Obama made it happen. This is 2016. This is right in the timeline with the Iranian nuclear deal. There is a Republican investigation that’s uncovered all of this and the Obama administration lied to Congress about it. They misled Congress on possible Iranian access to the U.S. financial system. This is in addition to Obama coming up with a bunch of millions of dollars in euros in cash that he delivered to the Tehran airport on pallets that was ostensibly ransom payment to get American hostages released. And as time goes on, everybody is beginning to wonder, what in the world was it about Iran and Obama? Why in the world was Obama so interested in helping them? He facilitated their acquisition of nuclear power by virtue of the Iran deal. He signed the Iran — he didn’t sign it. The Iran deal has never been signed, never been verified, it doesn’t obligate the United States any way. It’s why Trump was so easily able to withdraw from it. The Iranians never signed it. Iran’s top leader said Monday he had ordered preparations to increase uranium enrichment capacity if the nuclear deal with world powers falls apart after the U.S. withdrawal. He vowed never to accept limits on Tehran’s ballistic missile program. Let me give you a hint: He didn’t accept limits on it during the Iran deal with Obama, either. That was not even a deal. It was curious. The Obama administration, maybe Obama personally, had some stake in Iran strengthening itself. And now this bit about being able to access the U.S. financial system in violation of sanctions with the Obama administration trying to lead the way to make that happen, it just gets curiouser and curiouser and curiouser. Daily Wire: The Obama Administration Lied To The American People. Repeatedly. Here's The Proof.